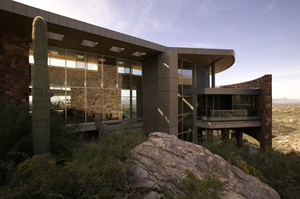 Campbell Cliffs is located on over 6 acres of lush Sonoran high desert. The property has 4 additional build able home sites available for separate purchase. Campbell Cliffs is a collaboration. The owners wanted a home that could be both a warm family residence and a gathering place for large parties and charitable events. 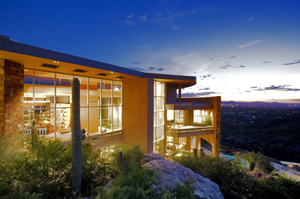 They wanted a home that both celebrated and enriched the beauty of the high Sonoran Desert. Many years and many people were necessary to achieve this vision. Our brochure tells the full story of the designers, craftsmen and artisans who devoted themselves to bring this home to fruition. Some noteworthy partners are highlighted here. It would be unfair to only celebrate the people who made this estate a reality. 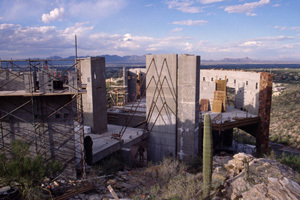 The spectacular setting of Tucson Arizona deserves credit as well. In order to continue you need to register. If you have already registered, please login first.